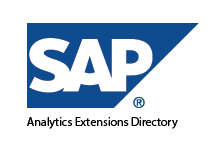 We wanted to share with you the SAP Analytics Extension Directory. There you will find the absolute best Crystal Reports Viewer software ever, along with many other useful tools. There is a SAP blog post on the new directory.